The raindrops symbolize where the water comes from. They are designed in an umbrella-esk shape that transitions into a wave shape. All of this combined shows the flow and story of where water comes from and where it goes. 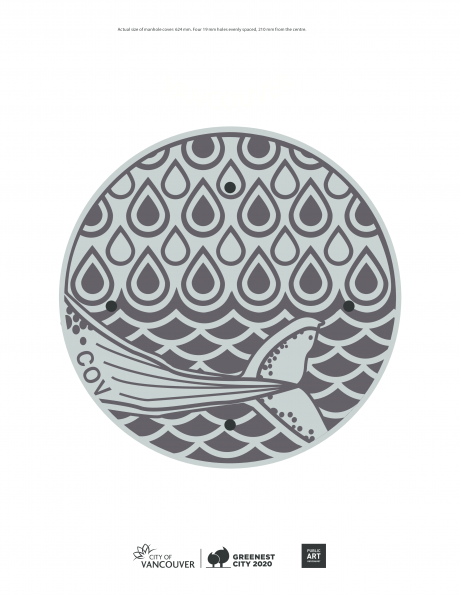 The whale tail shows the importance of this story from an eco-friendly standing, by symbolizing nature and our connection to it. Enjoy!